Every spring we are asked what to do when a mower/trimmer/chainsaw won’t start even though they ran fine last season. Many folks just take their equipment to a service center, or just buy a new model, (gasp!). We don’t, and you don’t have to either. Using a few simple hand tools and a little troubleshooting, more than likely you can have your power equipment running like new for years. First, let’s go through some simple troubleshooting to get your engine running, and then we can talk about preventing this issue from returning. We start with a screwdriver and remove the air cleaner element. Clean it with a soft brush and by tapping out the dirt on a hard surface. If it’s soaked with fuel/oil or has any tears then buy a new one. Why start here? In the fall, lots of dust from fallen leaves tends to clog air filters, especially in mowers. Restrict airflow and engines become hard to start. Next, take out the spark plug and inspect it carefully. While it’s unlikely you will ever wear out a plug, they do accumulate deposits that can be cleaned off with a wire hand brush. If in doubt, just replace it since they are so cheap. What we really want to know is if the electrode area is wet with fuel, or dry. A wet plug means a flooded engine, but the good news is that fuel is flowing. Take a quick whiff of the fuel. My rule of thumb is if it smells like gasoline, it will burn. If it smells sour/nasty, then we have to drain it out and replace it. You know what gasoline smells like, right? So dry out the wet plug. The best way is to use brake cleaner, which will clean off the deposits and then quickly dry. You could also use compressed air to dry it if the deposits are not heavy. Last would be to use a rag to clean up the plug and set it out in the sun for a while to dry. One way or another, try to get it to look more like the normal plug, or just replace it. With clean air, a dry plug and good fuel flowing, try and start up the engine. Use less choke or priming so the engine does not flood again and… Success! If this does not work we need to do a quick test of the ignition system. Remove the plug from the engine and attach it to the plug wire. Tape the plug to the engine so that the metal body of the plug contacts a metal part of the engine. Crank the engine over and look for spark at the plug electrode. If there is spark, then either you are continually flooding the engine or the fuel is bad and must be replaced. No spark? Then off to the service center you go, as replacing the ignition system is more involved than most will want to DIY. What if the plug is not wet, but dry and normal looking? Little or no fuel flow is a bad sign. We need to investigate this further. Maybe we can get enough fuel to flow into the engine if first we can make it run just briefly. This will also test the ignition system as well. Reinstall the spark plug but not the air filter element. Grab an aerosol can of starting fluid, (ether), and shoot a half second burst into the carburetor. Crank the engine. Repeat a few times if necessary. Starting fluid is highly volatile. If your engine won’t start, pop, kick and shows no sign of life then off to the service center it goes. They can pull the engine cover and fix the ignition problem. This really is the least likely option though, since your engine ran fine last year. Ignition components don’t deteriorate like, well, fuel. Odds are that using starting fluid caused some signs of life in that old engine. Either it fired up and ran, (yeah! ), or it ran on the ether for 2-3 seconds and then stopped, (boo…). 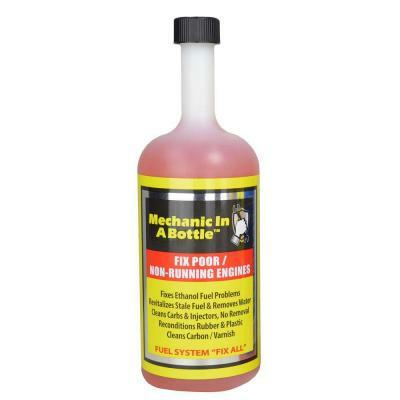 If it ran, then buy this product called “Mechanic in a Bottle” to clean your carburetor without removing and rebuilding it. If your engine fired up and died multiple times, the carburetor is completely gummed up. That means it’s necessary to disassemble some, or all of it for a thorough cleaning. A small engine service center can do this, but so can you. Next time I will discuss carburetor cleaning and fuel additives. Thank you for a great post Chris! I can attest to the wonders of Mechanic in a Bottle. I had not run my chipper shredder for about 2 years. I always run StaBil in my small engines but this time I let it sit, tank empty for a long time. I cleaned the plug, added fresh gas and with the help of Mechanic in a Bottle and some Ether spray I was able to get my chipper/shredder going again, but would not idle and would not run at full throttle without pumping gas in with the primer bulb. With the Mechanic in a Bottle in the fuel and mixed thru the fuel lines, I let it sit for about 2 days. At the end of the 2nd day, it took only one pull to get the engine purring again. + = A happy Gardener! With each successive start over the next week, the idle was restored. I firmly believe that had it not been for the Mechanic in a Bottle, my carburetor would have had to have been taken apart and cleaned!! Every engine manufacturer on the planet recommends the use of fuel stabilizer. But don't develop a false sense of security. Even stabilized gasoline can become contaminated with water, because water develops through condensation. If the gas container is exposed to varying temperatures, water will condense out of the air that is in the container. Sunshine puts more water in gasoline than rain does. Stabilizers will preserve the gasoline, but can't prevent condensation. Empty the unused gasoline before it goes bad by adding it to your vehicle. The key word there is before. Never allow gasoline to be stored for more than 3 months. Empty the container into your vehicle every three months and purchase fresh gas if needed. Read more from the E.P.A. 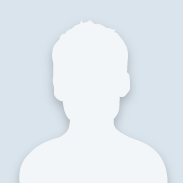 by clicking on this link. To keep up with the age of your gasoline, you could mark the date on the container, or you could simply pick an occurrence that happens every three months: The Change of Seasons. Seasons change every three months and it is a popular spectacle that is easy to remember. Maintaining you gasoline container is as important as maintaining your power equipment. Prevention is best.